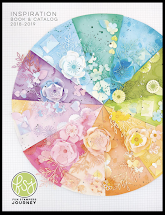 Welcome to the eighth & final day of the Spellbinders Paper Arts BIG Event! 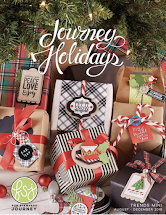 The BIG Event is Spellbinders™ Paper Arts’ way of introducing some really exciting new products! This season’s BIG Event is from July 13-20, incorporating 16 fabulous Designers, and you could win BIG! You may enter once from each blog on the designated days! You have until 11:59 p.m. Eastern Standard Time July 21, 2010 to enter my contest. Be sure to read the Official Rules before entering so that your entry will be valid! Entrants that send valid contest entry emails to each of the contests will be automatically considered for the Grand Prize. 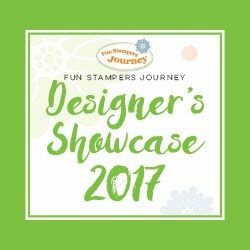 The Grand Prize has a retail value of over $700, and includes Spellbinders CHA Summer 2010 release die templates, Spellbinders CHA Summer 2010 release punch templates and a Presto Punch™ machine! 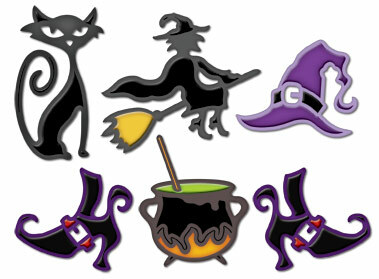 Create a keepsake Halloween banner for your home with Spellbinders new die templates: Witches Brew and Nested Bats. 1. Start off by cutting out and embossing your Halloween images from the S2-282 Witches Brew Set. I used black cardstock for mine which created a silhouette effect. To make the flying bats I cut my bat dies using the Spellbinders die templates S4-277 Nested Bats. Simply fold the wings up and secure only the center section of the bat to your paper with a glue dot. 2. Using the Spellbinders S7-018 Big Scalloped Border Grand die template, cut several border strips from purple cardstock. My banner has 5 triangle flags so you will need 2 border strips on either side for a total of 10 strips. 3. Cut triangular shaped flags from a variety of patterned paper. Mount onto orange and black cardstock. My triangles measure: 4.5x7.5x7.5". Using adhesive, adhere the scalloped strips to the sides of the flags. Secure a strip of ribbon to the top of each triangle and fasten large brads to either side. 4. Cut out various shapes using a variety of Spellbinders die templates and labels. I used the shapes from Spellbinders S5-022 Labels Ten, S4-190 Labels Four, S4-114 Standard Circles Lg, S4-194 Classic Inverted Scalloped Circles Lg, S4-112 Classic Ovals Sm, S4-113 Classic Scalloped Ovals Sm, and S4-187 Large Scalloped Octagons. Contrasting solid colors tend to show up better against patterned backgrounds. Mix and match shapes, colors and patterns and then assemble by layering certain elements with foam dots and embellishing others with buttons, ribbon and twine. The Halloween images remain the focal point of the banner because they are all solid colors and are contrasted against bright patterns and designs. Thread twine through the brads and secure a beautiful bow on either side. Your banner is ready for display! 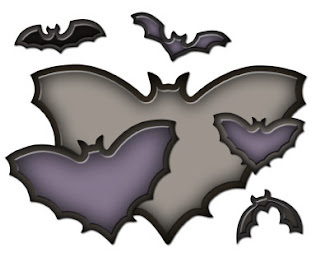 2) Don't forget the subject line must read Witches Brew/Nested Bats. 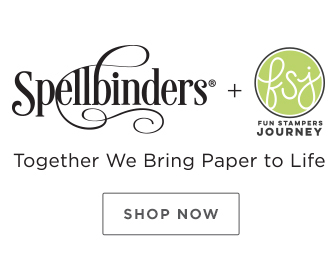 Best of good luck to you all and thank you so much to Spellbinders for sponsoring this wonderful contest!! Oh honey, I love your banner. And I ADORE your layout!!!! I may have to copy that one! You are marvelous!! Look at that!!!! Stunning project!!!!!!!!! Wow! This is seriously gorgeous Kazan. I love banners! You used so many dies! Very cute Halloween banner and layout, Kazan! Love how you put the bats in the layout corners! So glad there are Halloween dies that are so versatile and your projects displayed them perfectly! These dies are so cute, I love your layout! Amazing banner! Love that - my kids would get such a kick out of something like that. Love the scrapbook page too! Love what you have done with these adorable Halloween dies! Incredible!! Ohhhh, that banner is fantastic!!! Love all the new dies and how you used them in your projects. So much halloween fun!!! Kazan, these projects are oh so wonderful. You do such amazing things! I love your work! Love that banner, cute, cute, cute. You rocked the frenzy girl, nicely done. Hello Awesome lady!! Stunning!! Loving that banner and your layout is gorgeous! Wow spectacular projects sweetie! I am thrilled I could visit all the wonderful ladies the entire time. So excited to get my hands on some of these dies. Thank you everyone for all the inspiration. Oh my Kazan! I love your Halloween banner & LO! Great job showing how these die templates can be used in so many different ways! WOW! Kazan you did awesome. The banner is so incredible. I love it! Great colors! Your layout is super, too! It so reminds me of old iron fence around an old house.....maybe even haunted! I just knew you would come up with something super! Absolutely outstanding! Both of your projects are completely way over the top! Your banner has so many fun details to it and the design on your LO is gorgeous. I'm stunned!! How creative!!! Love both your projects... The LO especially... So thought through... just perfect! Such incredibly adorable projects Kazan!! You are so talented!!! This is such a cute banner - Adore it! Love the Scrap page as well. Great Projects and I love these dies! Wowzers! That banner is amazing! I am blown away! Great scrapping too, that border is so spooky cool! Wow! These projects are gorgeous! I made a Halloween banner a few years ago and had to cut my witch and bats! Yeah there are finally ones I can use a die to cut! Thanks for all the fun. When will these things go on sale? ohhhhhhhh, these are so beautiful, thank you so muche for sharing, love them !!! lovely projects Kazan, beautiful scrappage. Wow! I just have to tell you how very awesome your banner is! You showcased these new dies in such an amazing way! Fabulous inspiration!!! Love your sweet Halloween Layout too! WHOA!!!! Kazan you TOTALLY rocked these!!! What incredible projects you've made!! Everything you made is just BOOtiful!!! These are adorably CUTE dies for Halloween! Love that little witch on the broom! Super fun banner and I love how you used these elements on your great scrapbook page! Wonderful banner! So fun! Have a blessed day! Oh wow, they look fun! Cute banner. Love the little witch shoes and the cat. The layout is very nice. Love the border on it as well. TFS. Your page is so beautiful! Thanks for sharing with us! Bateautiful banner and layout. Witch I could win this one! That banner is absolutely fabulous!! Fun dies...love what you created with them! OMGoodness, Kazan! This is amazing! What a wonderful page, and your banner makes me wish is were October. How fun! I think they saved the best for last. 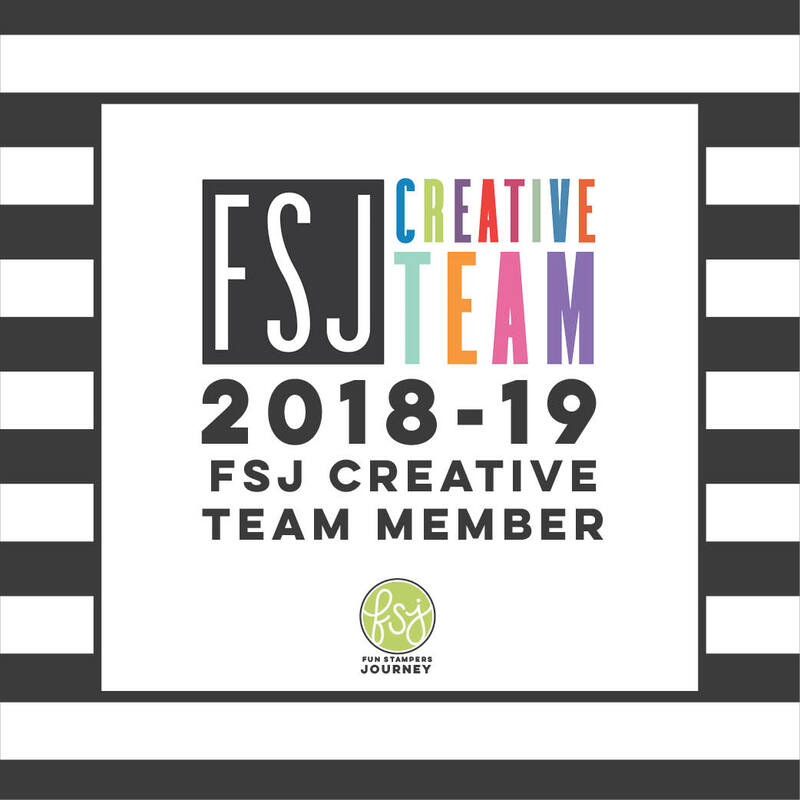 Awesome dies and fabulous projects! Kazan!! SO FAB:) Love the way you used this set!! Once again you ROCKED IT!! This set is so much fun. I just love Halloween!!!! I'm so loving your banner - fabulous creations! Oh man! Those are so super cute! TFS your cutie projects and I love your choice of papers too! Too cool. My grandchildren will love seeing these things when they come for Halloween and I love the LO ... nice idea for me to do for the pictures I take when they come for Halloween. Thank you so much. Wow!!! Stunning banner and incredible layout! Wonderful projects! Love your banner! Awesome dies. I loved your Halloween Banner and page layout. Halloween is a favorite time of year in our house, since my granddaughters B-Day is the 23 of Oct. So these die sets will be a must have. Thanks so much for sharing your amzazing talent and caring spirit. Wicked cool projects Kazan (get it? "wicked' cool? BWAHAHAHA - seriously though, I am from Massachusetts, we say that in place of 'very' all the time). Love that banner, very nice! Wonderful projects. I absolutely love the banner. Thanks for sharing! So cute! Thanks for the tutorial. These Halloween beauties would be such fun to play with! AMAZING!! I LOVE Halloween projects and your banner is beyond adorable! Love the die templates! You layout is gorgeous with the lace border. Gosh, girl you are GOOOOD!!!!! Super tutorial, too! Thank you! Love your projects. Great Colors and Layout, oh so fun. Thanks for sharing. LOVE LOVE your banner!! This would look awesome hanging in the entryway of our new house!!! Thanks for such a fun idea!! Can't wait to make one! Kazan you have the magic touch girl!! These all look absolutely fabulous. Love the banner and the scrapbook page is outstanding!! What a creative talent you have! Your card and scrap page are just awesome. 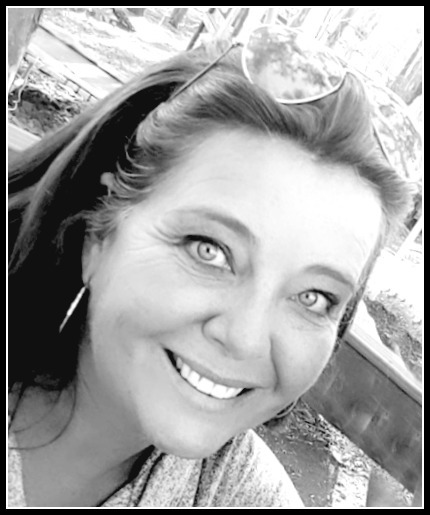 I am happy I found you through this fabulous blog. What would we do without the greatness of Spellbinders! Your projects are just gorgeous!! The images in witches brew are awesome!! thanks for sharing these. Luv your layout. Witches brew dies are really cute. Great detail on your layout using them. Fun. You did a fabulous job with these dies, Kazan! What a fantastic project, just love it. Oh my gosh! These projects are amazing!!! I love them all!! THESE are awesome dies!! I really love your SB L/O!!! I love what you did with the banner (so cute and clever!) and also the photo page: you're and artist at work!!! TFS! WOW! Fantastic banner & page layout! Love your style! Fantastic projects Kazan. These dies are fab and will be greatly appreciated by many. Awesome projects - I especially love the banner you made. Stunning! Wow Kazan! Your banner and LO are truly spooktacular! Thank you for sharing your creativity with us. Wow, thank you for sharing such wonderful details...your banner is awesome and I can't wait to try to make one like that! Your LO is fabulous too! Thanks for the FABulous inspiration! Awesome projects. Loved the banner. Such a cute banner, absolutely love your layout and the border is terrific with it! What spooky/cute dies!!!! It's everything anypone could want for the season! Great project!!! Love your super cute projects. Thank you for the tutorial! Very, Very cute!! Hope this is going to hang a PARTY this fall! I love the banner you created not to mention the scrapbook page. Both are great! All ready for Halloween I do say and Fun, Fun, Fun! Hi Great projects. The witches Brew dies are so cute. Thanks for shareing. Love the scrapbook page. Wowza, that banner is amazing! I'm right here to speak for you [B][URL=http://www.fitnessworkoutclub.com/insanity-workout-dvds.html]insanity[/URL][/B] about a muscle tissue constructing diet that can assist you to [B][URL=http://www.fitnessworkoutclub.com]p90x reviews[/URL][/B] place on much more muscles. Most folks think the fact that magic occurs within the fitness center, however the simple fact is that your muscle groups won't develop unless your eating plan allows them to develop. Your diet is what provides the nutrients to feed individuals muscles as they develop and without having the correct foods,[B]insanity reviews[/B] they're just not planning to grow. Performing your hourly work out is not enough due to the fact whenever you leave the gym, you need to care for those muscles the rest of the time. [B][URL=http://www.fitnessworkoutclub.com]p90x[/URL][/B] Within the gymnasium, you operate hard. Outside the fitness center, you eat appropriate. I'm going to [B][URL=http://www.fitnessworkoutclub.com]p90x[/URL][/B] indicate you exactly what a muscle creating eating habits ought to look like. [B]p90x before and after[/B] One more really essential reality [B][URL=http://www.fitnessworkoutclub.com]p90x[/URL][/B] you may ought to recall about The best way to Start Muscle Making and Fat Burning is [B][URL=http://www.fitnessworkoutclub.com/insanity-workout-dvds.html]insanity[/URL][/B] you'll have acquired to make certain [B][URL=http://www.fitnessworkoutclub.com]p90x workout schedule[/URL][/B] you may uncover some of the best workout programs, [B][URL=http://www.fitnessworkoutclub.com]p90x[/URL][/B] simply because they'll support you to create all the muscle groups inside your body. [B][URL=http://www.fitnessworkoutclub.com]p90x or insanity[/URL][/B] Be sure that you might find the assist of professional trainer to produce [B]p90x reviews[/B] [B]p90x results[/B] happen. First, when [B]workout review[/B] begin working to build the muscles, [B][URL=http://www.fitnessworkoutclub.com]p90x fitness guide[/URL][/B] would like to be incredibly careful not to over do. [B][URL=http://www.fitnessworkoutclub.com]p90x exercise program[/URL][/B] cannot build the muscle while [U]p90x schedule[/U] are lying within the back! What we mean by this is do not hurt yourself, mainly because when [B][URL=http://www.fitnessworkoutclub.com]p90[/URL][/B] are hurt you will not be capable to do [B]p90x review[/B] kind of weight lifting or physical exercise. Although [B][URL=http://www.fitnessworkoutclub.com/insanity-workout-dvds.html]insanity[/URL][/B] ought to be working hard, [B]p90x workout[/B] [B]p90x fitness guide[/B] can't overdue it! Play [url=http://blackjackonlinebasics.com]online blackjack[/url], Blackjack is arguably the most popular Table game of all time and here at Getminted we have 7 awesome variations. The color inkjet printer contains two main ink cartridges, for black and other primary colors respectively. The primary colors are then divided into three compartments for cyan, magenta and yellow ink.